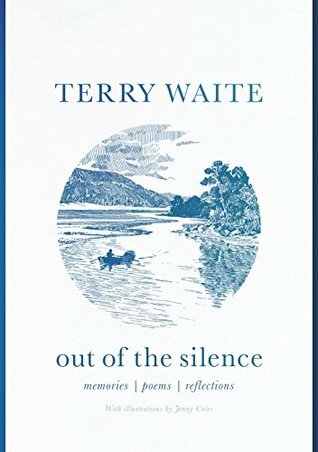 Out of the Silence: Memories, Poems, Reflections by Terry Waite is a collection of prose and poetry and reflections of the life of the envoy. Waite was the Assistant for Anglican Communion Affairs for the then Archbishop of Canterbury, Robert Runcie, in the 1980s. As an envoy for the Church of England, he traveled to Lebanon to try to secure the release of four hostages, including the journalist John McCarthy. He was himself kidnapped and held captive from 1987 to 1991. He is president of the charity Y Care International (the YMCA’s international development and relief agency) and patron of AbleChildAfrica and Habitat for Humanity Great Britain. He is also president of Emmaus UK, a charity for formerly homeless people. There is something to be said about Terry Waite. Many today forget about the war on terrorism in the 1980s. It was the time when Reagan told the terrorists, “You can run but you can’t hide.” Unfortunately, America was not ready to support the president’s offer. I was in the Marines on Embassy Duty at the time and remember the reports of hostage-taking and especially the taking of Marine Colonel Richard Higgins who was involved in the peacekeeping in Lebanon. Higgins was killed by his captors in 1990. Waite is a man of peace and someone, I believe Jesus (or any other religious figure) would be happy to have on his side. Waite went to Lebanon to negotiate the release of hostages. Despite assurances, he was taken hostage himself for five years, much of that time in solitary confinement. He was also physically tortured. Waite left the ordeal, not in anger. He believed his captors were misguided but he did not register hate. He admits that he did not fear death, but rather the method of death. In this collection, Waite looks back at life and in twenty-seven chapters he leads with a narrative and then follows with poetry. To be honest the poetry does need the narrative lead in. His poetry is not quite as art but more closely related to therapy. There is emotion and honest reflection in the work. The topics range from his temporary (vacation) residence in New Zealand to aging, torture, and death. He speaks of his work with prisoners understanding their situation in captivity. He also mentions Richard Dawkins without being negative. He also talks about becoming a Quaker. One can be Anglican and Quaker according to Anglican rules. He also mentions his disappointment in how civilized nations can support torture and takes a hit at Guantanamo. Waite is one of the most honest persons speaking out today. His poetry may not stand on its own, but the narrative and the life behind it certainly makes it well worth reading. 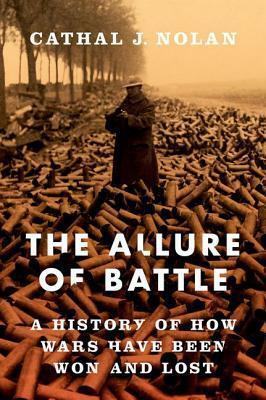 The Allure of Battle: A History of How Wars Have Been Won and Lost by Cathal Nolan is the study of the history of warfare an attempt to determine what is the cause the final outcome. Nolan is Associate Professor of History and Executive Director of the International History Institute, Boston University. He is an award-winning teacher and scholar of military and international history. He earned his MA (History) and Ph.D. (International History and International Relations) from the University of Toronto. The history of man is a history of wars. History is punctuated wars of all kinds from the beginning of recorded history to the present. Nolan takes the reader from Greek and Roman times through WWII. Empires fought wars from Greek times to the fall of Constantinople. The Middle Ages was also filled with wars between property holders and those wanting their “stuff”. The Middle Ages saw a change in warfare as empires were scarce and nation states have not yet risen. It was a time of mercenaries, whose loyalty was bought and sold for gold. Your mercenaries today might be your enemy’s mercenaries tomorrow. Mercenary warfare was not the best choice to conduct wars. Wars in the Italian states fought with mercenaries brought serious concerns in the politically unstable region. Italian political philosopher Niccolo Machiavelli was one of the first to support the idea of citizen militias. Not only was loyalty assured, but citizens were willing to fight in their interests which might not be the same an ambitious ruler. Loyalty and moderation would go a long way in creating stability. Technology seems to play the biggest roles in battles. Late medieval fortification design worked to end the supremacy of gunpowder cannons while at the same time creating overlapping fields of fire for the defenders. There was a growth in defensive warfare. Fortifications and overlapping fields of fire could hold off a very powerful adversary. What offensive nations aspired for was a quick victory. No nation intends to enter a long war. Even in modern times, the US invasion of Iraq was going to be a quick war with little resistance. As the years dragged on the popularity for the war declined rapidly. WWI was intended to be a very quick war by both sides. The nations involved did not think they could survive a long war. It would be a disruption in the (growing) economy and trade. The war that started in August 1914 was expected to be over by that Christmas. Nations did not know how to adapt to the new technologies especially the machine gun. The war turned defensive quickly with a line of trenches from the Channel to the Swiss borders. Generals looking for that decisive battle that would turn the war in their favor sent wave after wave of men to their deaths without any results. Unwilling to learn from their mistakes the generals kept at the same tactics. Hitler, a participant in the defensive war, decided not to make that mistake when he launched his initially successful invasions. Nolan looks at the history of mostly Western warfare and examines famous battles and examines if these battles were turning points in wars and why some highly successful battles had little effect on the outcome of the war. We tend to think of battles as turning points in wars from Saratoga to raising the flag at Iwo Jima. But for every turning point battle, there are plenty of battles of the Marne or Operation Barbarossa where Germany captured 600,000 prisoners and advanced 200 miles in one week only to go down in defeat. Nolan’s examination of battles shows the failure of a major battlefield success to clinch an overall victory in the war. An outstanding history and examination of war. 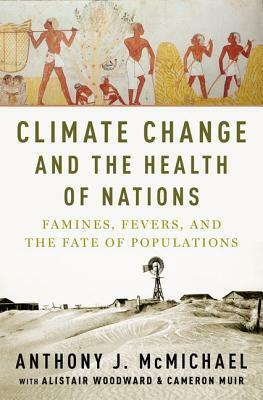 Climate Change and the Health of Nations: Famines, Fevers, and the Fate of Populations by Anthony McMichael is a historical study of the effects of climate change. McMichael, medical graduate and epidemiologist, held a national research fellowship at the Australian National University, Canberra. He was also Honorary Professor of Climate Change and Human Health at the University of Copenhagen. He was previously Professor of Epidemiology at the London School of Hygiene, Tropical Medicine (1994-2001), and President of the International Society for Environmental Epidemiology. Despite the scientific support for climate change it still remains a political issue in the United States. Debates over natural change and man-made change in the environment to even “just the weather” abound. The current administration even stopped agencies from posting climate change information on social media. McMichael doesn’t try to convince the reader of climate change. Instead, he takes a look at the history of man on the planet. There have been obvious and undeniable, climate changes during the last half million years. McMichael examines the impacts of the historical climate changes on man. We think of ourselves as a highly adaptable creature, but we do require a “Goldilocks” zone of climate — temperature, light, and rainfall. The history of man is the history of dealing with changes. Climate change is not necessarily the complete problem but acts as an amplifier to existing problems. In this last geological age man has dominated the planet forests have been cleared forests, created farmland and irrigation, domesticated livestock, and powered itself with coal and fossil fuels. With these elements, regional changes are examined from El Nino and volcanic eruptions and the temporary disruption to the environment. The Gulf Stream keeps the British Islands much warmer than Goose Bay, Newfoundland and Labrador which are at the same latitude. The Indian Ocean Dipole is responsible for droughts and flooding in India. Studying the effects and cycles of the natural phenomenon leads to predictions of long-term climate changes. Climate change is real and even recognized by the Department of Defense, It issued a report that climate change lowers the world’s carrying capabilities which will result in aggressive wars. America’s electrical grid that controls almost every aspect of American lives. It is extremely vulnerable to attack. Even in our temperature controlled lives, a number of people die of heat-related deaths in modern urban cities. Imagine life without in the summer without cooling as the temperatures rise. Over the past 70,000 years since man began to dominate the planet, we have seen the sixth extinction which is happening as fast or faster than any natural extinction in the history of the planet. The world’s climate is changing and by looking at past changes we can predict the possible effects of future changes. There is more climate change than just global warming. It also involves changes in rainfall and the frequency of droughts. There are also the effects on farmland and animal species. Climate Change and the Health of Nations is not out to prove climate change exists but to show the effects previous changes have had on civilizations. A historical reference to one of today’s most pressing problems. 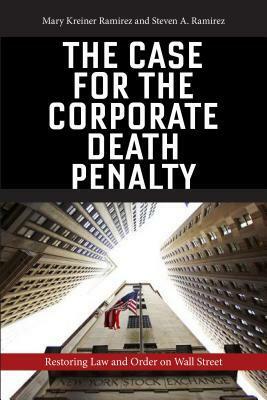 The Case for the Corporate Death Penalty: Restoring Law and Order on Wall Street by Mary Kreiner Ramirez and Steven A Ramirez is a detailed investigation of the 2008 financial meltdown. Mary Kreiner Ramirez is Professor of Law at Washburn University School of Law, where she teaches a course on White Collar Crime. She is a former prosecutor for the Department of Justice Antitrust Division, where she prosecuted white-collar criminals. She has published numerous articles addressing the challenges in combating white collar crime. Steven A. Ramirez is Professor of Law and Associate Dean at Loyola University of Chicago, where he also directs the Business and Corporate Governance Law Center. It was pretty difficult to miss the effects of the fraud and associated crime with the housing loan crisis. “Too big to fail” was thrown around with little thought of history. Still, major financial corporations failed and went bankrupt. There was a building with the AIG logo on it that I passed every day going to work then one morning the logo was gone, overnight. Bank of America, Chase, Goldman Sachs, and Lehman Brothers were about to come crashing down dragging the US and the World economy with them. The authors start with an introduction to other recent financial crimes. Enron’s fall and the fraud trials for Lay and Skilling brought some serious charges to trial. With the trial, evidence was actually brought to court and the justice system was used to verify the evidence. Court records are used as proof of the crimes. This lead to the disappearance of Enron and Arthur Andersen. The 2008 financial crisis was far more criminal from the information presented. The problem, however, is the lack of criminal charges and trials. To the public, what happened to banking leaders was even more deplorable. Not only were there no charges, many executives walked away with bonuses while the foreclosure epidemic would drain over four trillion dollars from the economy. It became the financial equivalent of Stalin’s “The death of one man is a tragedy, the death of millions is a statistic.” Rob one man and it’s a crime. Rob millions and it’s a statistic… deserving a bailout. The authors wanted to build a case based on court records but that just cannot be done. Perhaps the only thing worse than the fraud and financial crimes is the lack of prosecution. Politically connected Kenneth Lay did go to court and was found guilty. He faced up to forty-five years in prison before his death. The 2008 crisis shows the closeness of government agencies and the financial industry. People move freely taking positions in both spheres. That closeness the financial industry and the people who regulate it would not be allowed elsewhere. It boils down to money is power and power is money. The authors take what would be dry financial information and even drier legalistic thinking and combine it into a very intriguing look at possibly the most devastating economic failures. The Case for the Corporate Death Penalty shows the reader that not only does crime pay, it pays very well at the expense of everyone else. 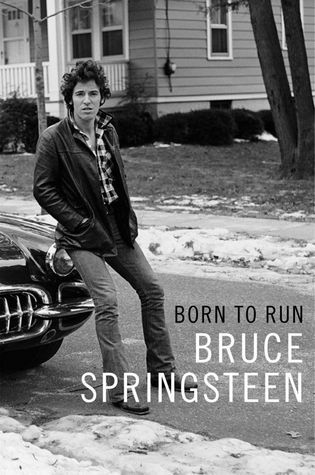 I listened to this from Audible.com read by Bruce Springsteen. Back in the 70s in very blue collared Cleveland, Ohio I first heard Bruce Springsteen. Darkness on the Edge of Town was the first vinyl LP I owned. I owned plenty of 8-tracks but albums were things you kept recorded to cassettes. Springsteen, although a New Jersey native, was the patron saint of my hometown. With the regularity of Big Ben ringing the hour, every Friday at 5:00 pm WMMS would blast Born to Run with every single one of the fifty thousand watts. There was a better life outside of the Jungle Land and we all wanted to find it. We knew the steel mills wouldn’t last forever and, although romanticized, no one really wanted to be a factory worker. Bruce Springsteen and a few others like Patti Smith and The Pretenders have followed me around for almost the last half century. Love or hate audio books, but there is something about the author reading his own life to you. It is warm and personal. Springsteen is no different. You can hear the range of emotions in his voice from ecstatic to sorrow. Although in his mid-sixties he still has that youthful punkish tone to his voice and attitude. A great autobiography for rock and roll fans. Springsteen is honest and doesn’t hold back although he seems not to hold grudges. He seems to take things as learning experiences. Unlike flash in the pan musicians, Springsteen has paid his dues albums stretching back over forty years. He has more than enough stories to fill those years. There is rarely a dull moment in his life story. He includes background on his parents, friends, band members (especially Miami Steve and Clarence Clemmons), and his family. There are the ups and downs of running a band and the swings in popularity as well as trying to lead a personal life. Springsteen also opens up about depression and its treatment. He is still celebrated as the hero of the blue collar worker (although concert ticket prices reflect otherwise… but the shows are long) although he freely admits he’s never worked a day in his life. Perhaps, I am a bit biased and see some of my younger years and environment in his writing (and songs), but this is is an excellent, candid, and sincere book well worth the read. 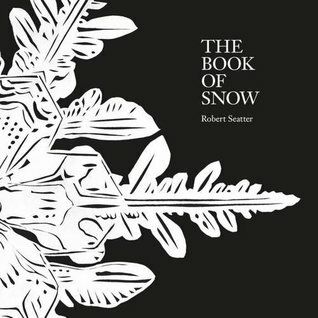 The Book of Snow by Robert Seatter is the poet’s fourth collection of poetry. Seatter has published three poetry collections: Travelling to the Fish Orchards, On the Beach with Chet Baker, and Writing King Kong. He lives in London where he works for the BBC as Head of BBC History, following earlier careers in publishing, acting and teaching. Seatter’ forward includes the Margaret Atwood quote about the Eskimos having fifty-two words for snow. He, in turn, gives us thirty-eight poems about snow. From the gray dreariness of midwinter to the unimaginable whiteness of the frozen palace in Dr. Zhivago, snow has a deeper meaning than simply frozen water. He compares the snow to white noise and the reader can see the comparison of the white noise static of a television screen or static of a radio and a blizzard. just the radio transmitting endless white noise. “How We Sleep Now” seems to leave the reader trapped in winter much like being stuck in a snow globe. Anyone from the north can relate to the feeling of being trapped inside of winter come January and February. Included is a tribute to Wilson Bentley the first person to photograph a snowflake in 1885. He eventually collected 5,000 unique images of snowflakes. Seatter also includes the art of Jessica Palmer and the designs of Sally James in this collection. Their art contributes nicely with the written word. From cutting snowflakes to the graphic art, everything comes together with art inspiring the writing and the writing influencing the art. A nice collection to read in front of the fireplace. 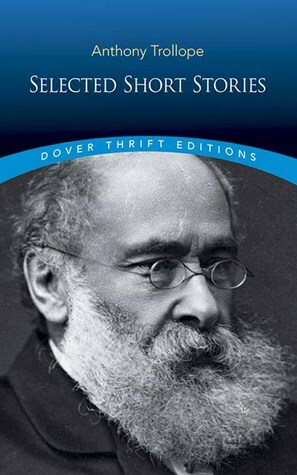 Selected Short Stories by Anthony Trollope is a collection of six stories that have previously appeared in periodicals. Trollope was a prolific Victorian Era writer with forty-seven novels and dozens of short stories to his credit. I have been meaning to read his work for quite a while. a friend with a PhD in English sings his praises and got me interested. I started with high hopes but quickly found myself entering the doldrums. It appears that my limited appreciation of English literature is contained in the Interwar Era. The writing is and portrayal of the characters, however, is excellent. In previous reviews, I have highly recommended Dover Publications as an introduction to an author and his work. The selections cover a broad range of the writer’s work giving the reader a well-rounded experience. The price is always affordable so the reader does not feel like he is making a large financial commitment to a collected works. That same value is carried on in this collection. The formatting is well done and as always the introduction to the writer is informative and also provides an introduction to the stories. This is a collection that for no concrete reason, other than personal preference, this falls outside of my reading interest. However, I would not have known this without reading through this collection. I have reviewed several Dover Thrift Editions and found them all well constructed and worthwhile. Had I paid the $5.00 for this edition, I would not have been dissatisfied. In fact, I’ll probably pick it up and try it again. Dover delivers on its promises. I recommend this book to anyone looking for an introduction to Victorian Literature.